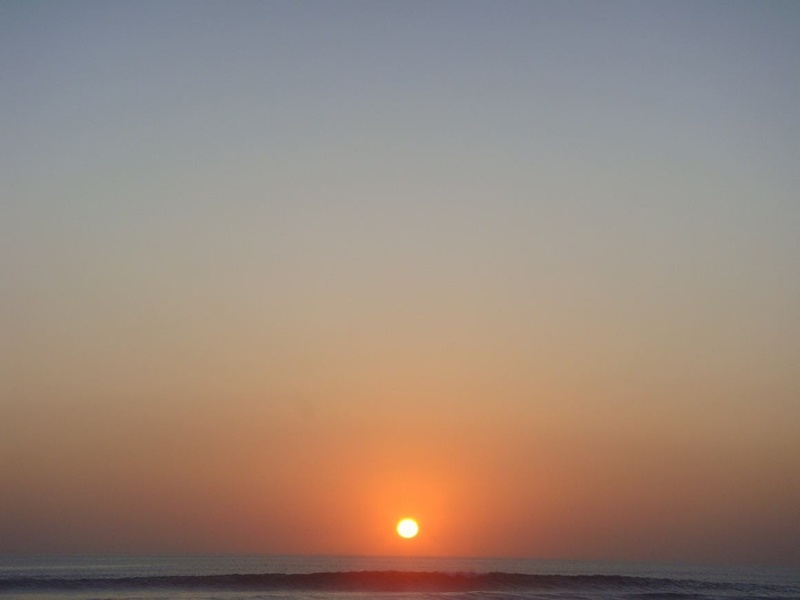 A picture of sunrise on Java sea I took in 2012. I woke up on Sunday, reading on Path that AirAsia QZ 8501 was missing. Then I read again this morning, that debris and bodies were seen floating on the Java sea. Officials confirmed that the parts found on the sea surface are from the plane. I suddenly shed tears. I am sad and devastated by the news of the AirAsia accident, with route from Surabaya, Indonesia, to Singapore. Many families, some just travelling solo, some are six of them, were the passengers of the plane. 155 Indonesians, many planned to celebrate new years eve in Singapore, were there, and so far, no sign of survivors. Faces ravaged by grief is not how I imagined seeing from my fellow Indonesian closing 2014. I offer my condolences and my thoughts and prayer for the family. Unlike in Europe, where traveling overseas is also possible by train and bus, it's not the case in Indonesia. Let alone overseas, even visiting friends or family in other part of the country needs a channel crossing, or worse, wide open sea. Flying used to be a luxury, and thanks to low-cost flights like provided by AirAsia, many of us are capable of seeing our beloved ones faster and easier. When many people make jokes and mock the passenger who use low-cost airlines, saying that low cost means sacrifice of safety, one thing is for me clear. None of us can really control what could/would happen when we're traveling. Just like driving car (where every other drivers practically want to kill you - sometimes I wonder how they could get their licenses), many unthinkable events could occur. Weather, the reason behind this tragic accident, no one can control that. Experts say the plane could have stalled, or it could have been affected by a lightning strike. And who had thought that Malaysian Airlines - which are not low-cost- would be shot down by crazy militants? Many say,"don't be afraid of flying, because we never know what's out there". When flying is inevitable, it solely lies on luck, or fate - if such things exist. That's why I never do crazy things in plane. I don't drink (I want to have full control at least on my body. Alert! ), I don't even listen to music (same reason). All I do is read books, or if I go to a new country whose language I haven't known, I learn it on board. Forget joining "a mile-high club" or "bumping in bathroom". For you my dear readers, I hope 2015 will bring you to your odyssey, in such way that you reach wherever and whatever it might be, safe and sound.